Greg is great in the service department. Knowledgeable staff, great service with a convenient location. 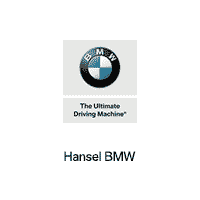 Hansel is a great customer experience across the board. I recently did a test drive day as part of my research for a ne car. Gabriel was very patient and willing to hear me out. I am spectrum and so I need things a very specific way or I lock up. I have a healthy disdain for all things "social interaction". thusly I take a special breed of personality to be able to make it to the end of an interaction. I have dealt with hansel automotive group for 3 vehicles and I have never run into a sales person yet, who is under qualified in that arena.Gabriel impressed me specifically, not because of an abundance of knowledge or because he had a ready answer to every single question... ...but rather because of his willingness to admit when he didn't. he never said "I don't know". "I would have to ask this person" or that a topic was outside of his specialty, sure... never "I don't know".